When the weather gets warm and you start to use your air conditioner regularly, you may find that it is not in the same condition it was in at the end of the cooling season last year. It is common for your AC to be a little out of tune at the start of the season if no maintenance has been performed on it. 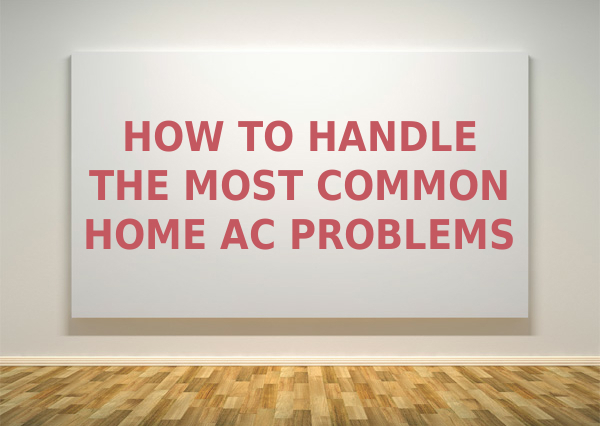 Here are some common problems with AC in Burlington, NC, and how to handle them. AC won’t turn on. There could be different causes for this problem. First, make sure your thermostat is on, set to cool, and set to a desired temperature that is lower than the current room temperature. Be sure your air conditioner has power. If not, look for a tripped circuit breaker. Check the filters for excess dust buildup. If all seems right but your system still won’t come on, call your HVAC company. System makes unusual noises. If you hear strange noises that you’ve never heard from your system, or louder than usual sounds, it may be due to loose, bent, or worn-out parts. Turn your system off and call a heating and cooling technician. Leaking water. If there is water leaking from your air conditioner, you may have a condensate drain blockage. Condensation forms when warm air is cooled and should be drained out through a tube. A blockage or disconnected tube can result in water leakage. If you feel comfortable checking and fixing this on your own, do so. If not, call an AC repair technician for help. Home doesn’t feel cool enough. One of the most common problems with AC in Burlington, NC, is insufficient cooling. Your system may run continuously or stop without ever reaching the desired indoor temperature. The fix for this may be as simple as replacing dirty filters to improve airflow. But if that doesn’t do it, the problem may be more serious such as low refrigerant due to a leak. That is definitely a problem for an HVAC company to handle. Energy bills are higher than last year or even last month. If it seems like your energy bills are unusually high, it may be due to your air conditioner. Compare your bills from each month during the cooling season and with the previous year. Barring a significant heatwave; if your electric bill is getting higher, it may indicate a problem with your system. Have a technician come out and give you an AC tune up in Burlington before you do anything else. A tune-up from an experienced technician can save you the headache of a costly air conditioning replacement. If any of these or other problems occur with your air conditioning when you turn it on this year, Alamance Oil is here to help. We will diagnose the problem and either repair it or recommend that you get a new unit. If your system is getting old and needs costly repairs, it may be in your best interest to replace it. Our technicians are very experienced in Burlington air conditioner replacement. The best way to avoid AC problems is with regular maintenance. Before you start using your AC on a regular basis, Alamance Oil will give your system a tune-up to make sure it is ready to cool your home every day. Our Comfort and Protection Service plans ensure that your HVAC system is running efficiently during each season. You can avoid costly repairs and extend the life of your heating and cooling system with yearly maintenance. Call Alamance Oil today at (336) 226-9371, if you experience any problems with AC in Burlington, NC. AC Repair in Eden: Understanding How It Works Burlington Air Conditioner Replacement: Is Now the Best Time?